Open Flash Chart is an open source Flash-based graphing and charting solution developed using ActionScript 3 and compiled using Flex. Open Flash Chart’s features include interactivity of your charts with tooltips, the ability to resize your charts client-side, and being able to save your graphs as images. 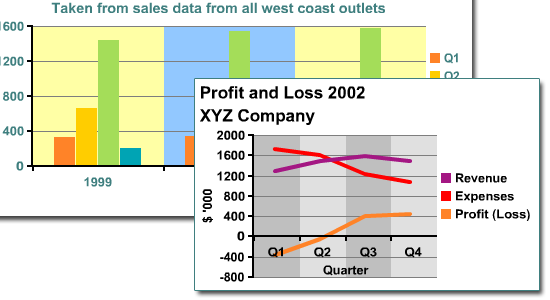 XML/SWF Charts is a powerful Flash component for creating interactive graphs and charts. With XML/SWF, you can use XML to describe the data you’re wishing to plot, making it easy to create dynamically-generated and easily-maintainable Flash charts (i.e. you need only to alter the XML file instead of having to use Adobe Flash application). 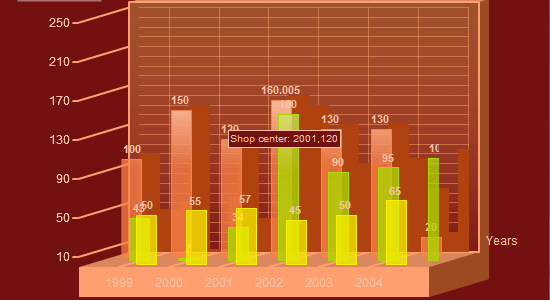 Check out this basic tutorial to get you up and running right away with XML/SWF Charts. XML/SWF Charts is free to download and use, and the Free license only has a few features unavailable to you, such no technical support. The Single License and Bulk License is $49 and $59, respectively. 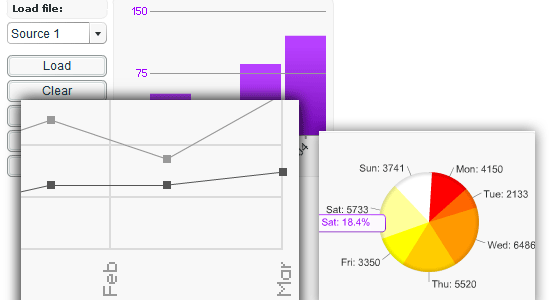 zxChart is a Flash component that allows you to create dynamic graphs and charts. It allows data input in numerous ways including static files (text files, XML) or via scripting (PHP, ASP, Perl, etc.). zxChart costs €35 (roughly $20). 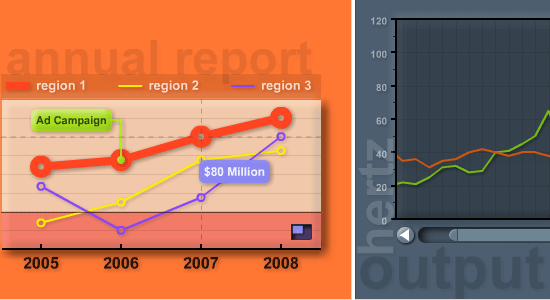 amCharts is a set of excellent Flash graphing/charting components for your web-based data visualization needs. amCharts can take in data from static files such as CSV or XML, as well as from dynamically-generated data inputs using popular scripting languages like PHP, .NET, Java, and Ruby on Rails. Fly Charts is available for free for private use but will contain a link to the Fly Charts website. Commercial-use and developer licenses range from $99 to $799. 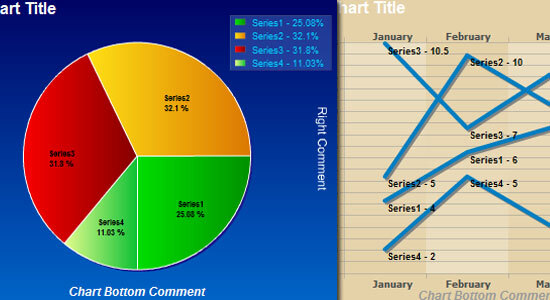 AmiChart is an easy to use and user-friendly Flash-based graphing component that can create animated column, line, and pie charts. AmiChart is Microsoft Office friendly, offering you the ability to embed graphs and charts into your PowerPoint slides and use data copied from an Excel spreadsheet for your data inputs. You can also use CSV file for data input. AmiChart has a 15-day free evaluation which gives you unfettered access to all its features. A single-user license costs $39. 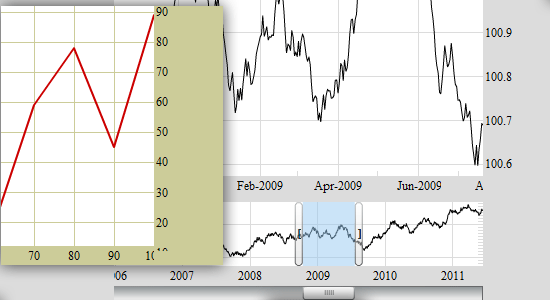 Black Box Chart is a free Flash component for charting data on the web. Black Box Chart offers you an interactive solution for data visualization, clicking on data points of bar graphs outputs the data value. The Black Box Chart editor is a tool that you can use for creating and editing your charts using a graphical user interface (GUI). flashCharts is a set of five attractive, animated, and data-driven Flash components for use in the creation of dynamic, as well as static, charts. flashCharts components are designed specifically for developers or designers, so whatever your background, you’ll be able to use it. It’s lightweight, weighing in at only 12KB, and has an ActionScript API for easily working with your charts and graphs. The whole set costs $99, but you can buy some components separately starting at roughly $30. FusionCharts is an excellent Flash component for creating animated and interactive charts for the web or desktop applications. FusionCharts integrates with a lot of web technologies including PHP, ASP.NET, JSP, RoR and a bunch of other acronyms. 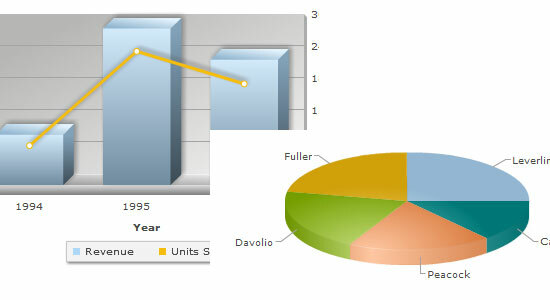 With FusionCharts, you have access to over 45 types of 2-dimensional and 3-dimensional charts. 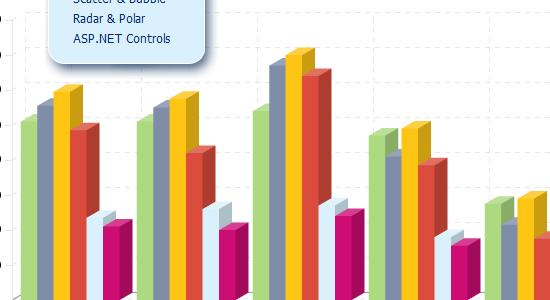 Check out the user showcase to see actual applications of FusionCharts. There are five types of licenses for FusionCharts, and the price ranges from $69 for a user license all the way up to $1,999 for an enterprise license. Origramy is a graph editor and viewer Flash component. 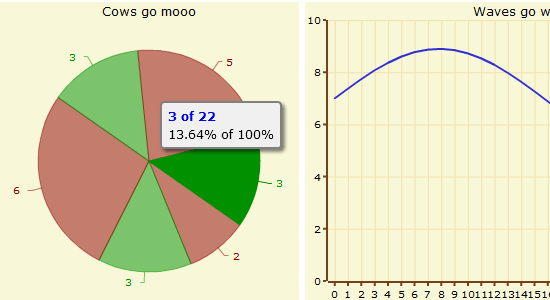 You can use it to create complex and interactive graphs and charts for presenting data. Origramy is available free for private use but will contain a link to Origramy – commercial licenses start at $99. 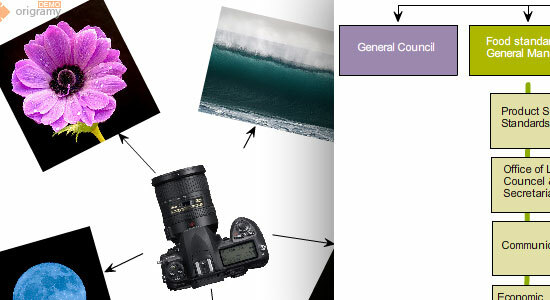 Do you deal with data visualization? What do you use and why? Have any experience with the Flash components above? Share your thoughts and opinions on this topic in the comments! 40 Excellent Free WordPress Themes	Best Web Design Gallery?